Pop singer and television presenter Darryl Cotton has been diagnosed with liver cancer. Friends say Darryl was feeling unwell just two weeks ago and was sent to Peter MacCullum Hospital for tests were he was diagnosed with the cancer. 62-year old Darryl was born in Adelaide. In 1968, he formed Zoot with Rick Springfield, Beeb Birtles and Rick Brewer. In 1970, they had a national hit with their acid rock cover of The Beatles ‘Eleanor Rigby’. When Zoot disbanded in 1971, Darryl based himself in Los Angeles and wrote for Engelbert Humperdinck, The Osmonds and The New Seekers. Darryl returned to Australia and went solo. ‘Same Old Girl’ was a Top 10 hit for him and earned him the Best Male Performance award at the Countdown Awards in 1980. In the 80s Darryl went into television and hosted The Early Bird Show for channel Ten, then Summer Rock for 9 in Adelaide. In recent years he has been performing for Jim Keays and Russell Morris as Cotton, Keays & Morris, performing a set of the trio’s individual hits. Only last year Darryl reformed Zoot with Rick Springfield, Rick Brewer and Beeb Birtles for a cruise from Miami. 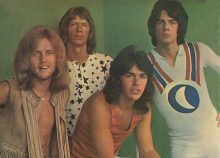 Until recent weeks, the group had planned to perform some Zoot reunion shows in Australia as well. Darryl is a much-loved person in the Australian music industry with a long and successful career to his name. Our readers and industry friends are saddened by the news and our thoughts are with you Darryl. Little River Band co-founder Beeb Birtles will host the world premiere of his An Evening of Zoot, Mississippi & LRB at the Adelaide Fringe Festival in February. 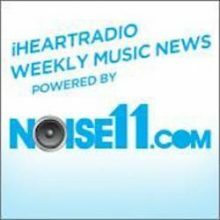 Australian music legend Beeb Birtles tells his story at iHeartRadio Music News powered by Noise11.com this week. Little River Band legend Beeb Birtles will be inducted into the South Australia Music Hall of fame in November. Little River Band founder Beeb Birtles has once again taken aim at the current US band doing the rounds with the name but no original members. Little River Band legend Beeb Birtles was a Doobie Brother for one song this week in Bend, Oregon.